Take the metro to its southernmost point, and you’ll arrive in the pueblo of La Estrella (translated as “The Star”). According to the Spanish Wikipedia page, the foundation for La Estrella was established in 1685, though it didn’t become its own municipality until 1833. Today, it’s home to a little over 50,000 residents. Like Niquia at the northern end of the metro, a visit to La Estrella is a chance to escape the noise of Medellin and the central valley. Access to this mountain pueblo couldn’t be easier. 2. 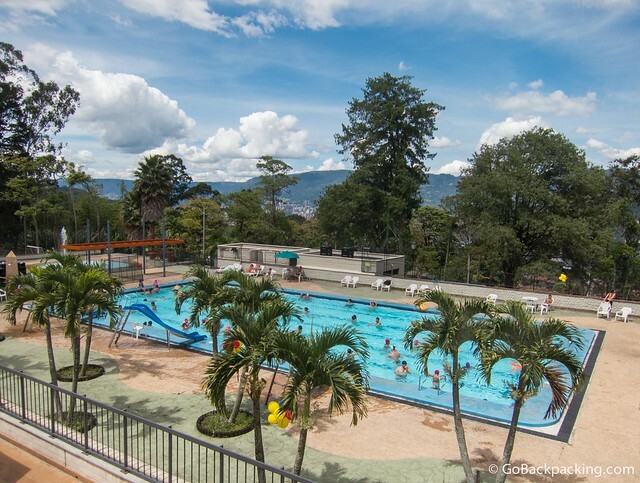 Take the metro to the southernmost station, La Estrella, and then take a bus or taxi (5,000 pesos, $2.65) to the Parque Principal. Note: Google Maps still doesn’t reflect the La Estrella metro stop. 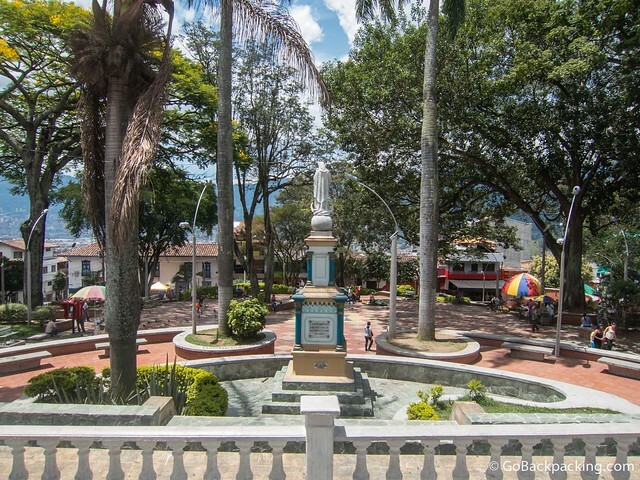 Like all pueblos in Antioquia, the main park is the center of daily life, and a good place to start your sightseeing. This one square block park is nicely designed, and features lots of open space. I visited around Noon on a Sunday afternoon, while church was in session. Afterwards, it became a little more interesting as people began to filter out and go about their business. 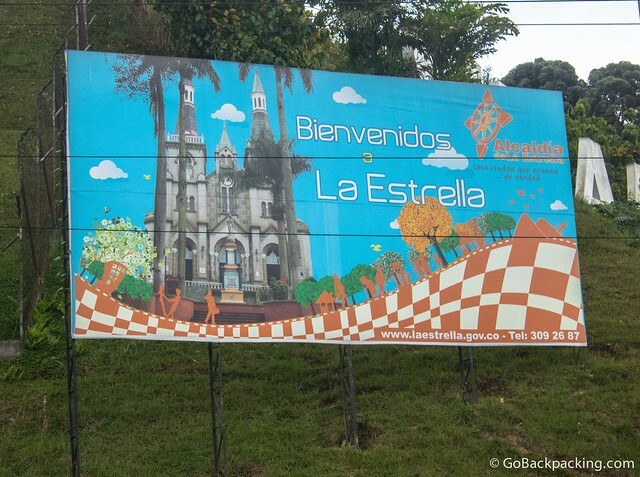 La Estrella is situated on a hill, which is more than evident if you’re trying to take a cup of coffee at one of the many little cafes surrounding the park. There’s not a lot to this church. Take a picture, take a peek inside, and move on. A short bus 1,800 pesos ($1) bus ride from the Parque Principal is a recreational park, run by Comfama, which features several pools and soccer fields of varying sizes, as well as restaurants, picnic areas, and ziplines. Initially Viviana and I were going to walk, but it’s located up a steep hill, so it’s best to take a bus or taxi. If you are unaffiliated with Comfama, then you pay the full adult entrance price of 15,000 pesos ($8), but it’s worth it. We spent a few hours there, walking around, eating lunch, and people watching. They even had a mini tejo playing field set up. La Estrella is also the gateway to the Medellin valley’s largest ecological park, Reserva Ecológica El Romeral, which features waterfalls, lagoons, canyons, and a chance to discover the local flora and fauna. Guided trips are available through companies like Antioquia de Aventura. This annual festival is the town’s biggest event of the year, and features a multi-day program including sports and concerts. The 2012 festival featured Binomio de Oro, Grupo Galé and J. Balvin as headliners for the main concert, held in the Parque Principal. 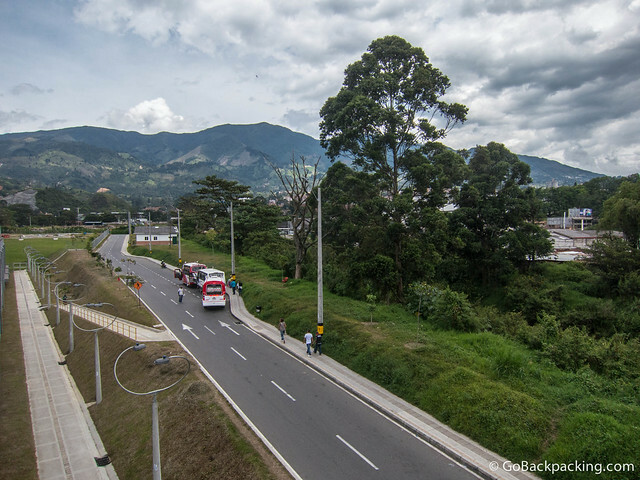 For additional points of interest in the area, visit Antioquia Digital (in Spanish). I’m not aware of any recommended restaurants. Viviana, a paisa, accompanied me to La Estrella, and she said it wasn’t known for any particular food, and that the cuisine reflected that of Medellin. If you know of any good restaurants in the area, please leave a Comment below. Unlike Sabaneta, across the river, La Estrella isn’t known for its nightlife. You’ll find a few bars around the Parque Principal, but I’m not aware of any popular discotecas in the town. 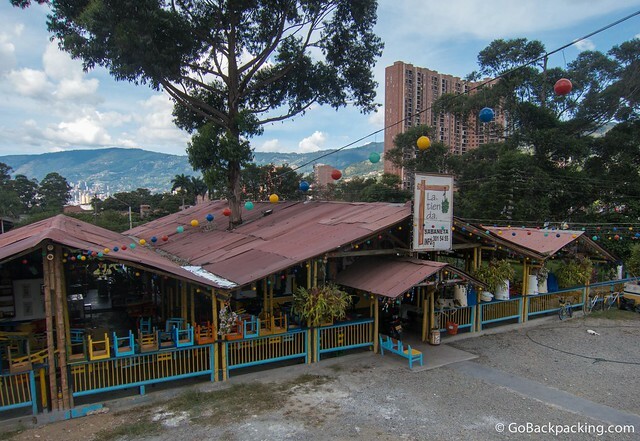 La Tienda, which is technically on the Sabaneta side of the river, is easily accessible via the pedestrian bridge from La Estrella metro station. While there might not be a lot of public partying in La Estrella, it is home to a high percentage of the valley’s best known love motels. In Jessica’s article for this blog, five of the six love motels she recommends were located in La Estrella. I think the location, far enough outside of Medellin to allow for discrete encounters, yet still easily accessible via the highway or metro, make it a convenient place to shack up for a night. Even if you don’t have the name or address of a place handy, most taxi drivers should know where to take you. 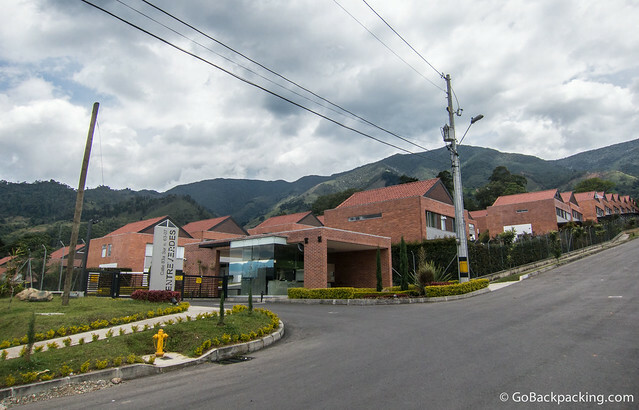 As an example, we passed several large motels along the main road from La Estrella metro station to the Parque Principal. I wouldn’t recommend going out of your way to visit La Estrella for the town center alone, but I do I recommend using it as a jumping off point for the Comfama park or Reserva El Romeral. i love your pics and the food looks so good the air looks so clean,i love the cloud cover i like to play with the clouds when i go there ill have to show you how i do it you wont believe it till i show for the real, not many people can do that, but the clouds have to be in a roll, i mean expanding, there has to be movement in side of them, thank you and keep sending all the wonder full articles. Hi, Dave. I tried to go to El Romeral a couple of days before your posting and was unsuccessful despite taking a bus marked “El Romeral.” Do you have any more info on how to get there?